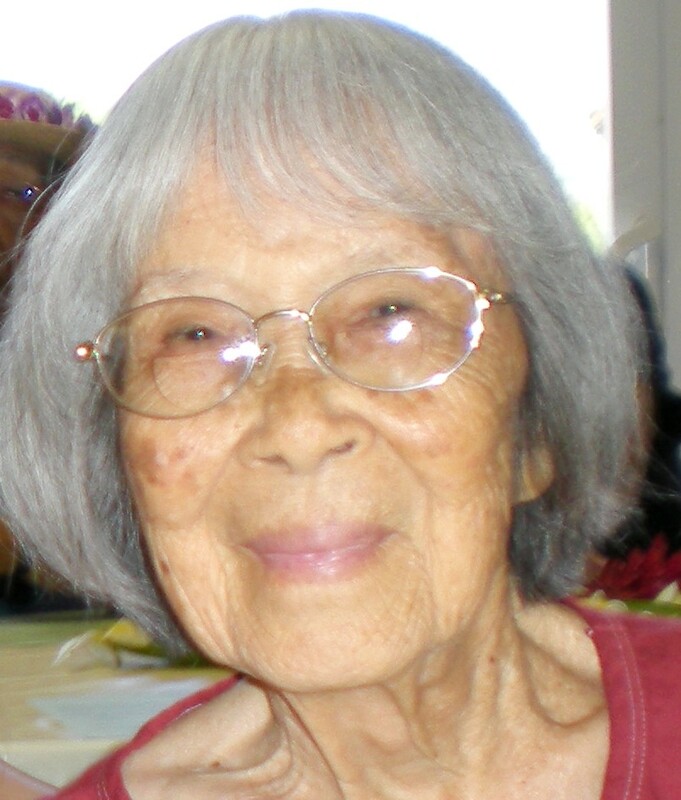 TOMIKO HONDA FUJIMOTO 10/20/16-8/4/15 Tomiko Fujimoto passed away peacefully at home on August 4th at the age of 98. She is survived by her daughters Gail Fujimoto and April Fujimoto (Ed Franklin), her daughter-in-law Joyce Fujimoto, her grandchildren, Amy Franklin, Ted Franklin, Jodi Fujimoto Dilger (James),and Lisa Fujimoto (Eric Nielsen), her great-grandchildren, Trevor Fujimoto Dilger and Abigail Nielsen, and many beloved nieces and nephews. She is preceded in death by her husband Toshio "Tata" and son Terry. Tomiko was born on October 20, 1916 and had 6 siblings, Harold Kazuo, Howard Hisao, Sueo, Jessie Tsuyako Ibara, Dorothy Yoshiko Endo, and Edwin Haruo. After graduating 8th grade from Halehaku Grammar School, she went to Wailuku Junior High. She received a scholarship to attend Mid Pacific Institute. She returned for her senior year and graduated from Maui High School at the age of 16. She worked as a ward maid at Kula General Hospital while waiting to reach the age of 18, when she could attend the Queen's Hospital Nursing School. Instead she decided to attend the Teacher's College at the University of Hawaii. She lived with a family and helped with chores and babysitting in exchange for room and board. Tomiko met her future husband, Toshio, while working in the infirmary at The Maui Pineapple Company. They married in 1942 and had 3 children: Gail, Terry and April. Tomiko taught at several Maui schools for over 30 years. After retiring in 1979, she stayed active by teaching English classes to Japanese speakers applying for American citizenship and often accompanied them to Honolulu when they took their citizenship test. Tomiko had many interests including reading, quilting and travel. She was a wonderful storyteller with an amazing memory. Even in her 90's, she could describe an event to you like it had happened yesterday. One of her favorite stories was being in a "real" hukilau in Keanae where every person, even babies, got the same portion of the catch. She was strong-willed, smart, hard working, practical, generous and loving. She will be dearly missed by everyone whose lives she touched. Per her request, the family held private services. The family wishes to express their gratitude for the compassion extended by Dr. William Mitchell, Henrietta, Robin & Edwina, the patience given by Dr. Phillip Milne & his staff, the support of the Hospice Maui staff and the thoughtfulness of Yasuko Takata.